We know it’s hard to make that first step: sometimes it is easier to put things off “until you’re ready.” But you deserve a chance to do something for yourself. You work hard, help others, and others depend on you. Maybe you have something about your eyes that has bothered you for years. Or is it the way the shape of your face is changing? Does your brow and forehead seem heavy, and bothersome as it seems to intrude on what was once your best feature—your eyes? Has the aging process and the environment narrowed your once full lips, or furrowed your skin? You may be surprised to discover that the way your eyes have aged (ptosis) demands reconstructive surgery, not cosmetic. But you will never know until you take that first step. 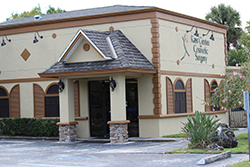 Our 30 plus years of experience in the Tampa Bay area has taught us the value of understanding a patient’s needs and desires, discussing their options and opportunities, and delivering realistic, satisfying results. While perfection is always a priority, our patients’ satisfaction and happiness with their medical procedures and their care is of paramount concern to my staff and to me. With as little inconvenience and discomfort as possible, our experienced professionals provide the highest standard of care and excellence. While we repair your concerns, we restore your inner beauty and self esteem, achieving the natural beauty you desire.